About the Area: The apartment is located in the historical center of St Petersburg on Liteiny prospekt, about 10 minutes' walk from Nevsky prospekt. 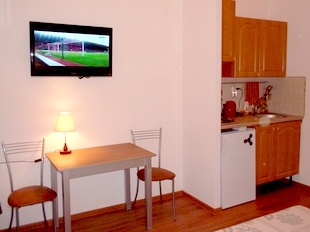 Apartment is also close to Fontanka river embankment, Summer Garden and Mikhailovsky Garden. 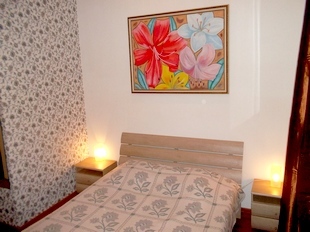 The Accommodation Details: Our cosy studio apartment has 1 singgle bed, a table with a chair, TV, wi-fi. 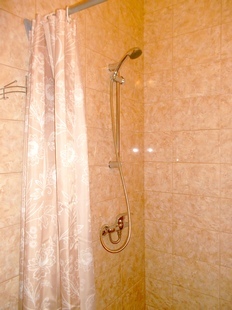 There's an equipped kitchen and a bathroom with a shower. The kitchen is equipped with a mini-fridge, a gas stove, electric kettle, a range of kitchen utensils. The total floor area is 15 sq m. There are also an ironing board with an iron and 2 washing machines in a special serviced room. 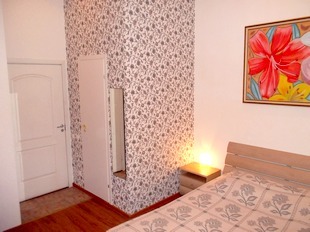 The apartment is also located together with 3 other studio apartments, so it's posible to accommodate groups up to 7 people in these studios.